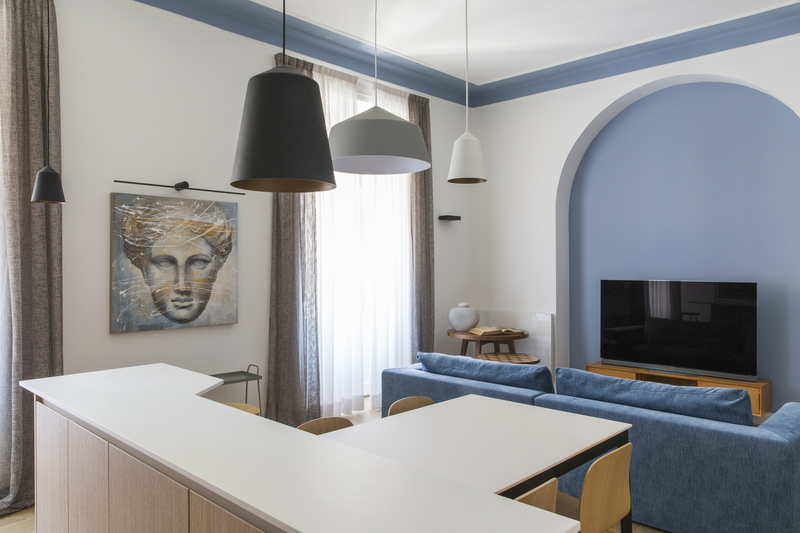 A few changes needed to be made to renovate a new Roman home for a young couple in the Parioli district, of Rome, Italy. 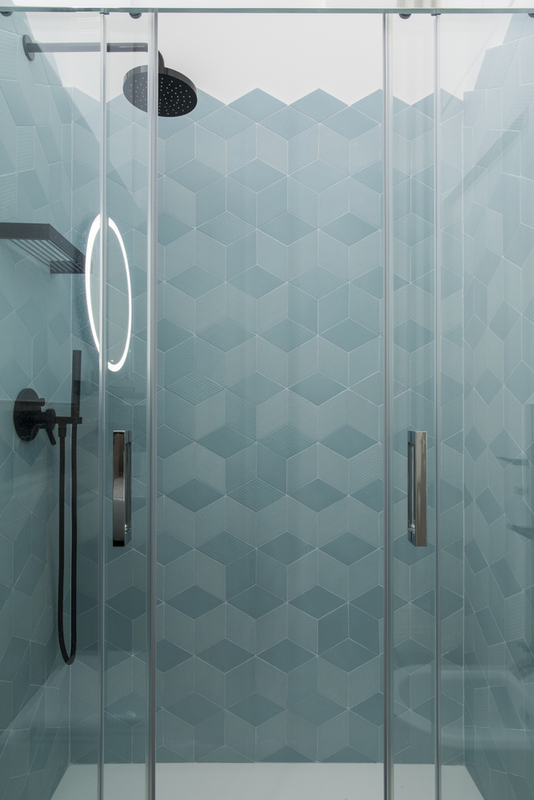 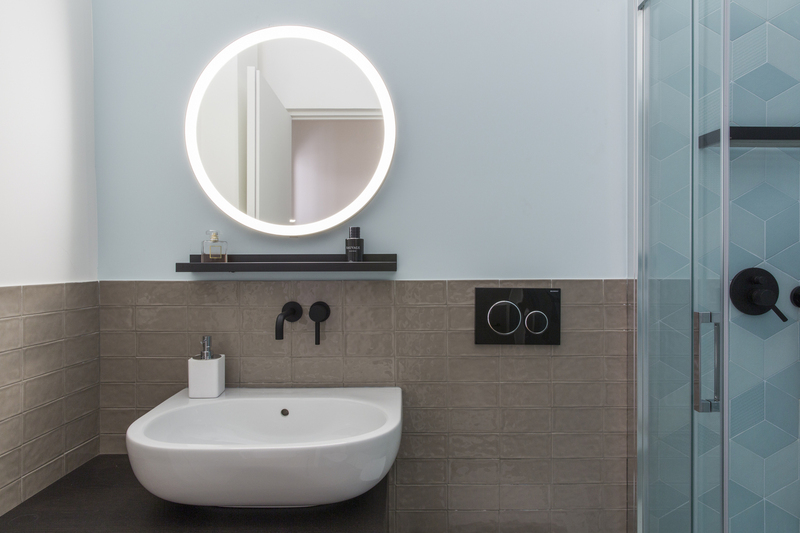 The project aimed primarily to create a second bathroom and second bedroom. 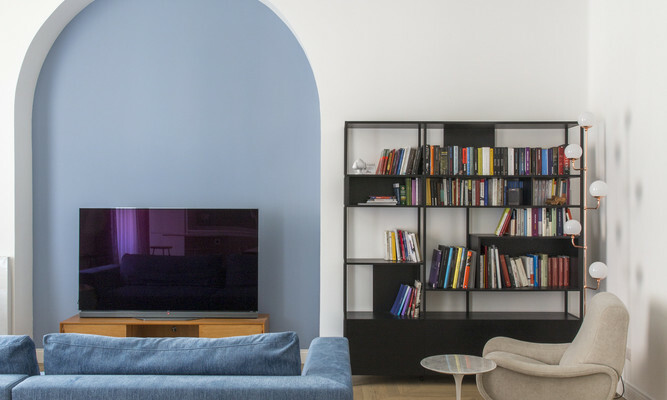 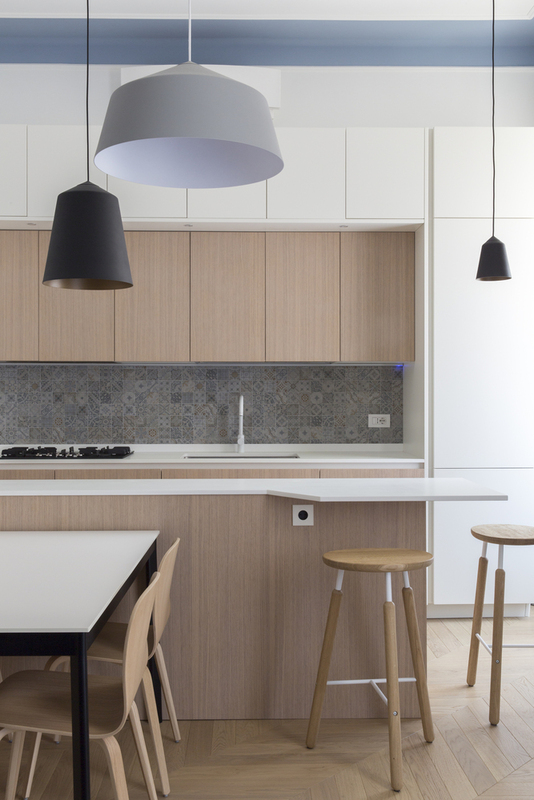 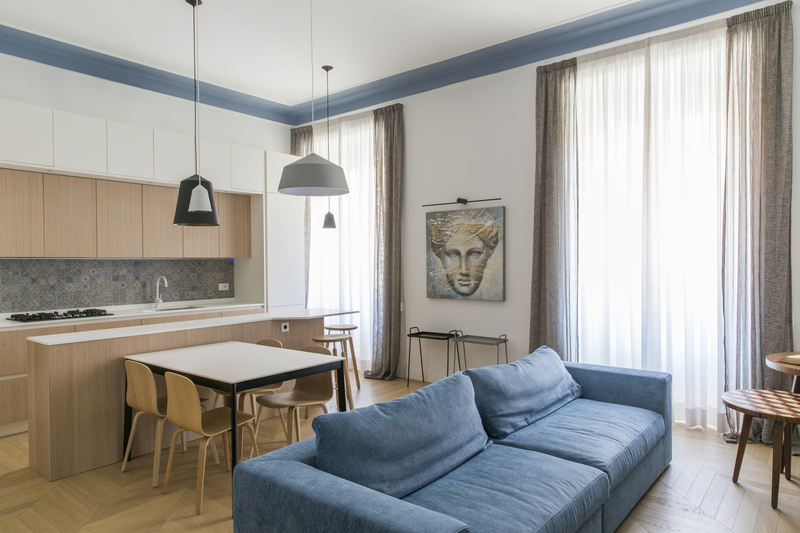 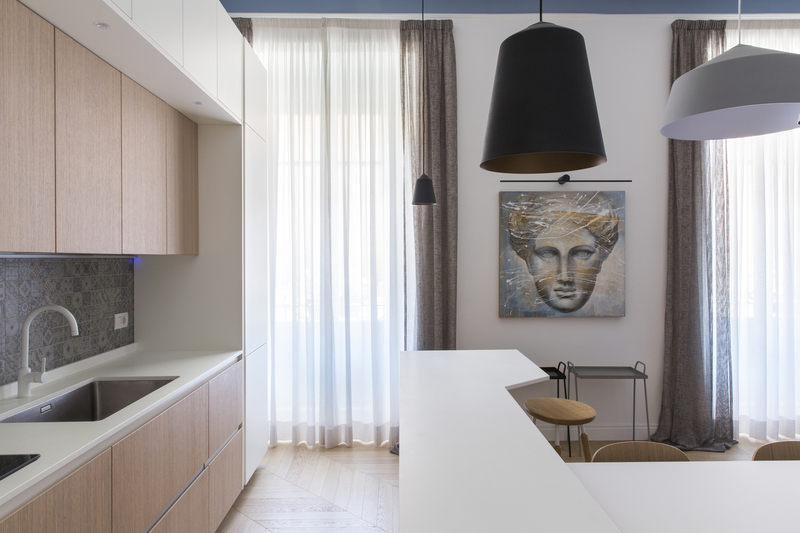 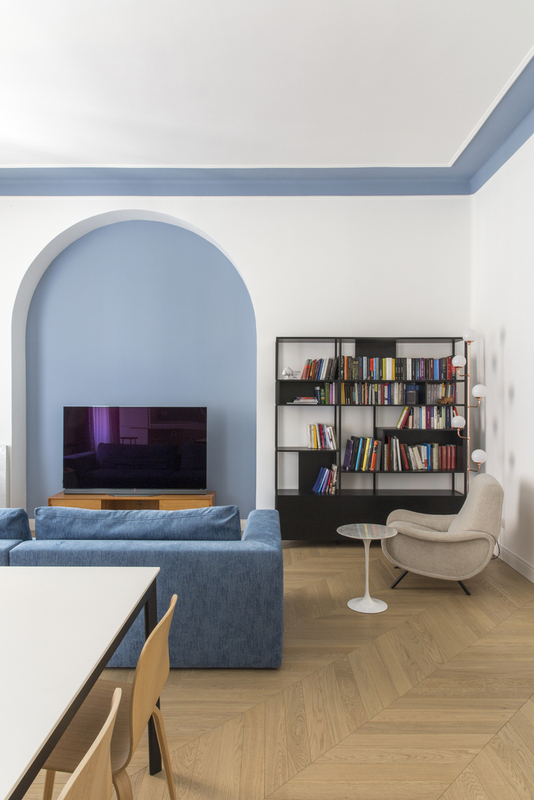 The projects limitations, dictated the constructive characteristics of the apartment, mitigated by Filippo Bombace. 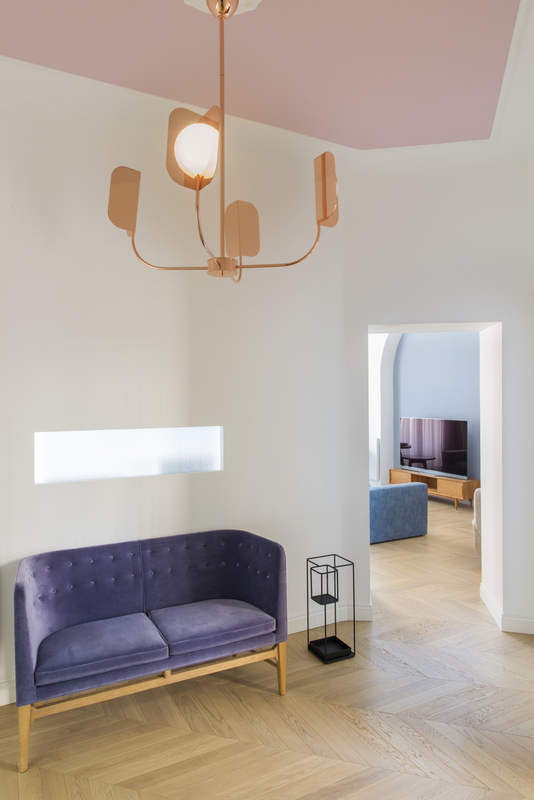 At the beginning of the process the young client’s were totally unaware of the world of interior design, but soon became passionate design collaborators in the selection process of the various furnishings and finishes. 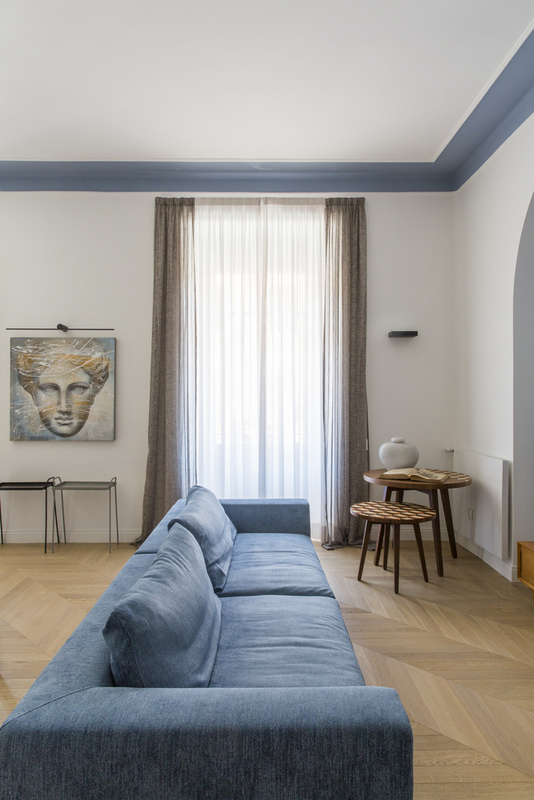 In keeping with the 1930s architecture, oak parquet floors were laid in a diagonal French style to underline the main axis of the dwelling and the delicate work of painting the existing arches and frames within the space, between the tones of white, blue dust and of antique pink. 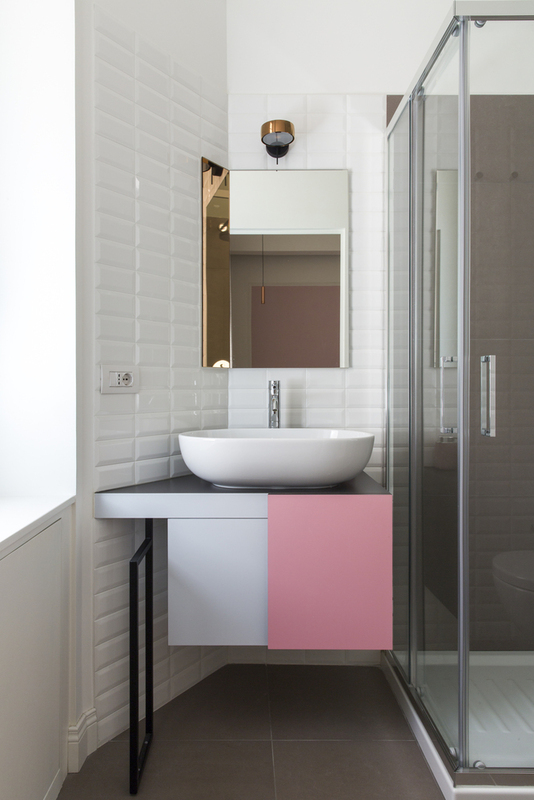 The bedrooms walk-in closet is bordered by a double sliding glass doors, whist the bathrooms are set up with a mix of vintage styles with more contemporary elements: in particular, the washbasin compositions are based on an artisan design, such as the bathroom accessible directly from the bedroom, worked in laminate in various colours. 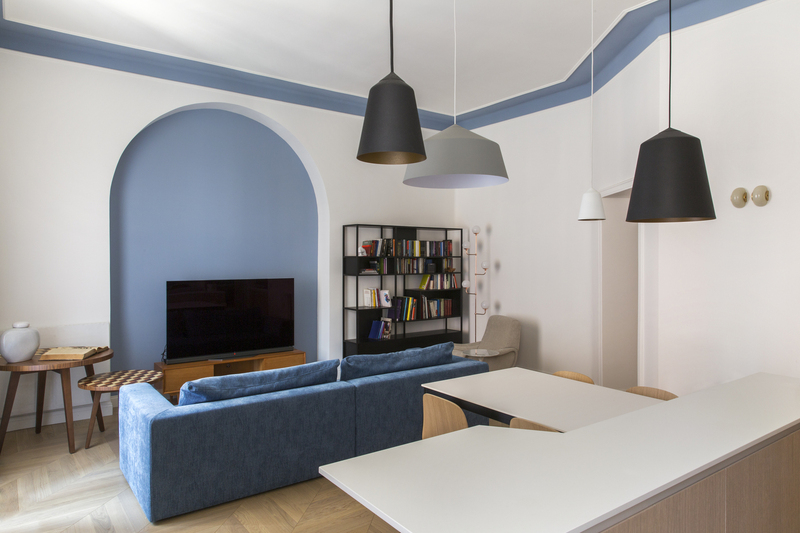 The lighting, partly minimal and built-in, combined with focal point decorative pendants, gives the vibe of a young home.